The ag industry today is flooded with data and, as an industry, we have the risk of knowing the field or the livestock better than we know and understand the farmer. Today’s agri-marketing and sales efforts need to be more effective and more efficient with the dollars spent and the time invested. Knowing and understanding the influencers and decision makers can help customize conversations and accelerate behavior change. One of the key things you not only can expect, but should demand, from a marketing partner is their understanding, knowledge and ability to engage influencers and end-users in your market space. In short, it’s imperative they have the data and the ability to help create and drive strategy. Your customers face critical business decisions each day and are looking for value beyond a static, one-size-fits-all company solution. Agri-marketers who are driving data with enabled, proven go-to-market strategies that change buying behaviors are winning. Solid strategies start with the customer and prospective customer intelligence and market research, provide customer and internal personnel education, and deliver on digital and traditional strategies that influence buying-change behaviors. Talk to your customers and pressure-test your strategy. Data is not a replacement for voice-to-voice engagement with a customer. Marketers and sales leadership that invest informal time with customers, both with the channel and end-users, are stronger at leading their teams and developing strategy. Know your data. What is the segmentation you are targeting? What are the unique messages delivered to those segments based on where those customers are in the buying process and their relationships with your organization? Micro-targeting and a full, in-step cadence between sales and marketing are where we see some of the best success. Choose your medium & tactics wisely. Peer influence is still the number-one trusted source of information. When leveraged correctly, it is proven to accelerate behavior change. There are several mediums to deliver peer experiences. Digital engagement is, by far, the fastest growing opportunity. Engagement is not pushing content or filling inboxes, but a true cadence of conversation. Engagement reflects the preferences of your customers, can help accelerate awareness and move a customer to adoption with the right content, timing and digital medium. Farmers and those in the channel are learning and making decisions every day using their preferred mediums. A strong go-to-market strategy must include multiple tactics that work across mediums to move decision-makers and influencers from awareness to adoption as quickly as possible. As social and mobile capabilities increase, so does the use of these platforms by decision makers in our industry to get the information they need. Smart phones have changed the flow of information forever. We all know that many in the ag industry have some sort of social media account. In fact, 1 of every 5 minutes people in the US spend on mobile is on Facebook or Instagram. Studies have confirmed that marketers will invest in quality over quantity. With this in mind, a successful agri-marketing strategy must include quality, trusted content delivered via customer-preferred digital vehicles to the right segments at the right time. 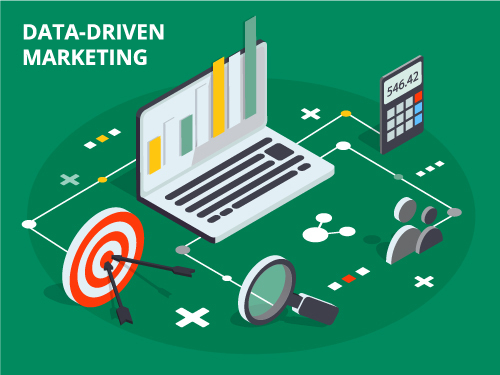 The difference in a go-to-market strategy that delivers on both return-on-investment and return-on-time is the data with which the customer intelligence that sales and marketers start. In the industry of agriculture, we have the luxury of a relatively small influencer and end-user base. Therefore, we have no excuses for not executing on marketing and sales strategies that put the customers first. Since 1997, Beck Ag has used data to help create and execute strategies that have engaged more than a million farmers, ranchers and agriculture professionals in leveraging peer experiences and accelerating behavior change. For more information, contact us at jkelley@beckag.com.